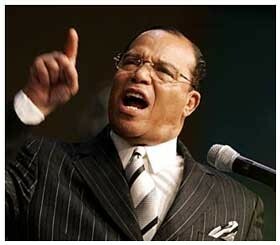 Louis Farrakhan recently sent a three-page letter along with two books to the heads of sixteen Jewish organizations. an undeniable record of Jewish anti-Black behavior, starting with the horror of the trans-Atlantic slave trade, plantation slavery, Jim Crow, sharecropping, the labor movement of the North and South, the unions and the misuse of our people that continues to this very moment. to find one act committed by me or those who follow me that has injured one Jewish person, stopped Jews from doing business, hindered their education, injured their families, sullied or desecrated their synagogues. "You will not find one," declares Farrakhan, who then asks: "on what basis do you charge me and us as being 'anti-Semitic'?" Quite the contrary, Farrakhan avers, "we could now charge you with the most vehement anti-Black behavior in the annals of our history in America and the world. We could charge you with being the most deceitful so-called friend, while your history with us shows you have been our worst enemy." Farrakhan could also dwell on the fact that Jews are "sitting on top of the world in power, with riches and influence, while the masses of my people here in America, in the Caribbean, Central and South America and elsewhere in the world are in the worst condition of any member of the human family." He could make these points, he notes, but he chooses not to: "I do not write this with vitriol, hatred, bitterness, or a spirit of vengeance." Instead, he hopes to establish ties with Jews: "I have pleaded with you over the years for a sensible, intelligent dialogue. You have rejected me." Despite prior failures, the publication of these two books inspires Farrakhan to try anew: "I again ask you for a dialogue." For Farrakhan, dialogue equals reparations. Because Jews "are in a position to help me in the civilizing work that The Honorable Elijah Muhammad was given to do by Allah (God)." More specifically: "This is an offer asking you and the gentiles whom you influence to help me in the repair of my people from the damage that has been done by your ancestors to mine." In other words, after years of unsuccessfully demanding reparations for blacks from the U.S. government, he is now looking to Jews to make amends for their alleged past injustices. you may either gather your forces for an all-out struggle against me, the Nation of Islam, and the truth that I and we speak and write, or as an intelligent and civilized people, we can sit down and carve out a way forward that can obliterate the stain of the past and render us, Jews and Blacks … in a new, honorable, and mutually respectful relationship. should you choose to make our struggle to our people more difficult, then I respectfully warn you … that the more you fight and oppose me rather than help me to lift my people from their degraded state, Allah (God) and His Messiah will bring you and your people to disgrace and ruin and destroy your power and influence here and throughout the world. He signs off with "Respectfully and Sincerely Submitted, The Honorable Minister Louis Farrakhan, Servant to the Lost-Found Nation of Islam in the West." we have published Volume No. 2 of The Secret Relationship Between Blacks and Jews. … I sent this book, and another one that is printed called Jews Selling Blacks, to Mr. Abraham Foxman of B'nai B'rith [sic], and to all the leaders of the major Jewish organizations. I sent it to President Obama, to Rahm Emanuel, to David Axelrod, to Timothy Geithner, to Larry Summers, to Ben Bernanke. (2) According to Farrakhan's publication, The Final Call, none of the Jewish leaders responded to his letter other than to denounce it. (3) The "Nation of Islam Historical Research Team" (note the absence of individuals' names) produced the first volume of The Secret Relationship Between Blacks and Jews in 1991. In brief, the first volume was akin to The Protocols of the Learned Elders of Zion, not a scholarly tome but an artifact of conspiracist propaganda intended solely to spawn hatred against Jews. 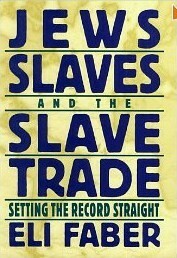 Harold Brackman began to demolish its scholarly pretensions in Ministry of Lies: The Truth behind the Nation of Islam's "The Secret Relationship between Blacks and Jews" (Four Walls Eight Windows, 1994) and Saul S. Friedman finished the job in Jews and the American Slave Trade (Transaction, 1998). (4) Attempts to blame the trans-Atlantic slave trade on Jews reminds one of conspiracy theories blaming 9/11 on Jews: in both cases, Jews are brought gratuitously into a story overwhelmingly about Muslims. (5) Farrakhan relies on obvious but clever duplicity in his letter: "we could charge you" with a host a charges but will not do so. We are offering you a deal but if you turn it down, "disgrace and ruin" await you. The letter amounts to an unsubtle attempt at extortion. (6) It also offers a perverse example of benign antisemitism, whereby a person hopes that Jews will use what he imagines to be their power to help him – in this case appealing for help with "the gentiles whom you influence." (7) One might think that with Barack Obama in the White House and Africa enjoying high economic growth rates, Farrakhan would stop focusing on Jews to "lift my people from their degraded state." (8) The letter fits a pattern of antisemitism on Farrakhan's part that goes back to his re-establishing the Nation of Islam in 1978. In contrast, under Elijah Muhammad, who died in 1975, Farrakhan and the NoI more generally evinced little interest in Jews. (9) Klein of ZOA calls this letter "a veiled call for violence against Jews" and he is right: Farrakhan full well knows he would not get the reply he demands. (10) Farrakhan has praised Obama as "the hope of the entire world," the "one who can lift America from her fall," and as one sent by "the Messiah." Obama's presidency has apparently emboldened him to renew his attacks on Jews. (11) Where are the Council on American-Islamic Relations, the Islamic Society of North America, the Muslim American Society, and the Muslim Public Affairs Council? One awaits their condemnations of Farrakhan. July 13, 2010 updates: (1) Reader Alan Silverman, points out that I missed a third, later book that further demolished the Nation of Islam "research": It is Jews, Slaves, and the Slave Trade: Setting the Record Straight (New York University Pres, 1998) by Eli Faber. And reader Wallace Edward Brand recalls an important oped by Henry Louis Gates, "Black Demagogues and Pseudo-Scholars." (2) Why stop with demands for reparations for events centuries past? Why not millennia? That's what Nabil Hilmi, dean of the Faculty of Law at Zaqaziq University in Egypt wants - and why he is one of a group of Egyptians preparing a lawsuit against "all the Jews of the world," demanding unfathomably large amounts of money. For details, see a MEMRI report on an Aug. 9, 2003 interview with Hilmi in the Egyptian weekly Al-Ahram Al-'Arabi.